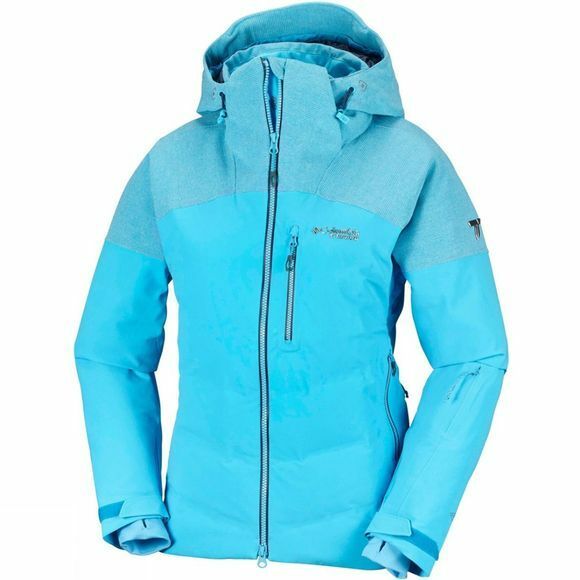 The Womens Powder Keg II Down Jacket from Columbia boasts all the features you need for your ski journey. Keep warm and snug with 700 fill power goose down insulation and the reflective Omni-Heat 3D lining. Omni-Tech waterproof Technology keeps you dry, while the removable and adjustable storm hood is compatible with helmets so you can ski with style. Keep your prized possessions hidden in the interior security pocket. 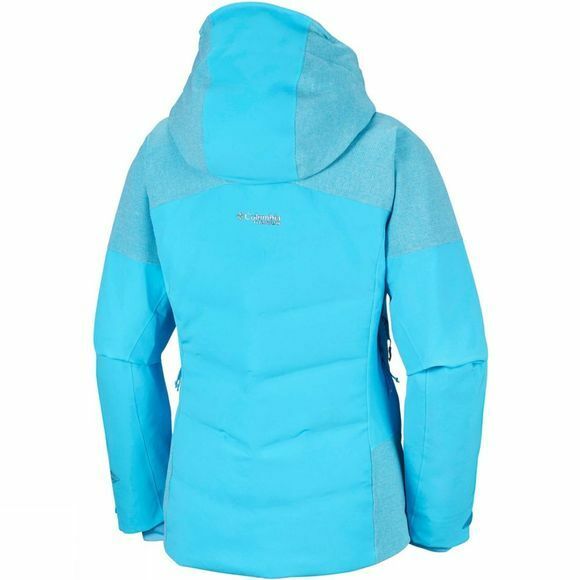 On top, it has all the features you expect from a premium ski jacket: 4-way stretch fabric, powder skirt, ski pass pocket, media and goggle pocket, adjustable contoured sleeve cuff and comfort cuff with thumb hole.